We are bringing back our popular Valentine’s Day Scone kits for your enjoyment! Each kit contains our favourite Rose & Kettle treat; cream tea for two including 4 scones with homemade jam and cream (in handy mason jars), all beautifully packaged in a gift bag and ready to give. Cost is $22/kit. 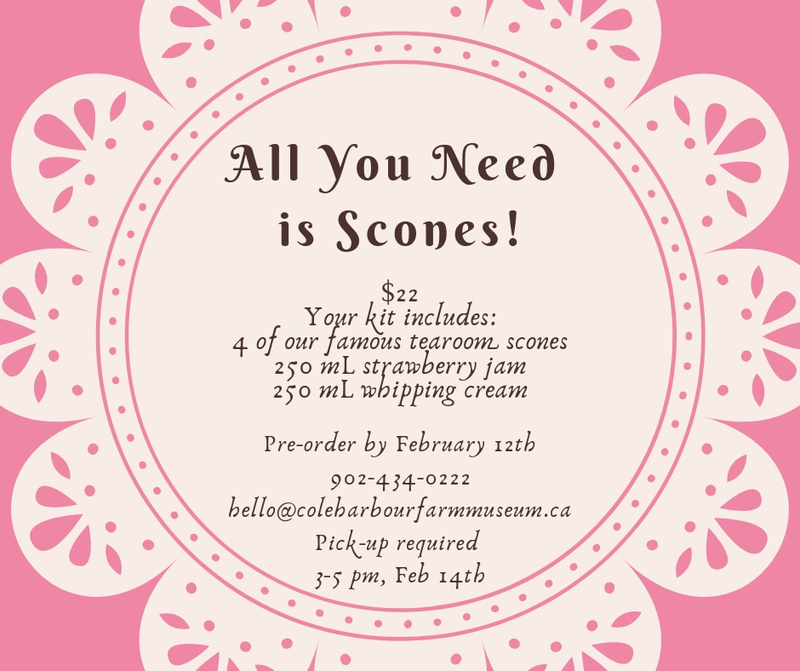 Scone kits will be available for pick-up on Valentine’s Day, February 14, from 3 to 5 p.m. You must pre-order kits by February 12th, and indicate when you will pick-up your order on February 14th.